If you want to be a successful football bettor it is so important you do your research on the best UK betting sites as you need to make any edge you have over the bookmaker as big as you can. This often means using multiple betting sites for each bet as while one betting site might offer better odds for one bet, another site might offer better odds on the other match. Ideally you should be looking to spread your bankroll over 3, maybe 4 sites in total. Another reason why you should be looking to spread your bankroll over multiple sites is because you should be looking at a wide range of markets when you are looking for bets to place. There are so many more value markets than the 1X2 line like goal lines and the asian handicap line for example. Even which league you want to bet on can determine which site you should be looking at. So which are the best UK betting sites? Well the 3 i highly recommend, all for different reasons, and each site excels in totally different areas are BetVictor, 10Bet and William Hill. To be honest, the best thing you can do right now before you read on any further is create an account with all 3 of those UK betting sites if you don’t already have an existing account. If you have just listened to me and created the accounts you have just become a better online football bettor. If you haven’t signed up you are already showing a lack of ambition and should probably quit now. BetVictor excels purely in odds. You should NEVER underestimate the importance of odds. If you pick the site that offers the best odds this means you can afford more losses in the long run because you will be getting a bigger return on your winning bets. 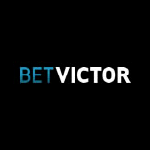 According to Oddschecker.com BetVictor have offered the BEST odds on the Premier League FIVE years in a row! 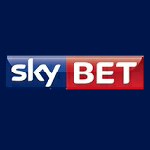 SkyBet focus primarily on UK football bettors. This is GREAT news for us as this means they have to offer us GREAT VALUE on the UK football leagues. If they don’t they will find themselves with very little custom as we will all use other UK betting sites. Luckily they do offer plenty of value by offering some of the best odds around on the goals markets. If you are looking for the best UK betting sites look no further because you have just found them!